If you have slipped or fallen due to a wet or uneven surface or hazardous object, and have sustained injuries, you may have a viable premises liability case. Our slip and fall lawyers can help you determine who is liable for your incident and potentially recover compensation for your hardship and expenses. At Mauk, Miller, Hawkins PLLC, our personal injury attorneys have over 40 years of combined experience and have worked with many clients who have faced trials from diverse accidents. We pride ourselves on providing understanding, well-informed counsel that our clients in Boise, ID, can rely on during difficult times. While the cause of your injury is an important aspect of a potential personal injury case, determining other party's liability as well as whether comparative negligence played a role is necessary for pursuing these claims. The third condition is based on the expectation that a "reasonable" person would have discovered and resolved the issue. For example, landlords should be aware of major maintenance issues that require attention and government bodies should be aware of major damage to roads or sidewalks in their duty to properly inspect and maintain public areas. In personal injury cases, the court will consider the percentage of liability of each party. They will also determine to what extent your own carelessness played a role in your incident. Typically, an insurance adjuster will need to find out if there was a legitimate reason you were in the hazardous area and were you doing anything that could have distracted you. They will also want to know if there were any warning signs that there was a hazard present as well as if a careful person would have been able to notice and avoid the hazard or injury. If the business or individual who owns the property is at a greater degree of fault, you may be able to recover compensation. "We will put our full resources into investigating, preparing for, and pursuing your case to help you receive the compensation you deserve." How Can a Slip and Fall Attorney Help You? Premises liability claims can be especially complicated due to different property owners, managers, and insurance companies. 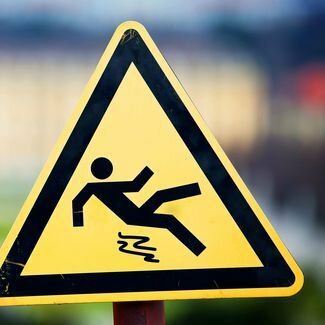 A seasoned slip and fall lawyer from our firm can gather the evidence necessary to prove that your accident was a direct result of the hazardous condition and the liability of the defendant. This information can include your accident report and photographs of your injuries as well as the object or obstacle that caused your incident. Our team can also collect and organize reports of your expenses to provide proof of the impact that your injury has had on your life. The personal injury attorneys at Mauk, Miller, Hawkins PLLC, are dedicated to helping our clients get their lives back on track after an injury. We will put our full resources into investigating, preparing for, and pursuing your case to help you receive the compensation you deserve. If you believe your incident is the result of the property owner's negligence, contact us online or call us today.